Växjö, the northern most town on the Sydostleden (the South-east Trail), has everything from prize-winning restaurants, unique shopping and entertainment to picturesque lanes with cobblestones and red-painted cottages. The beginning and end of the Sydostleden Trail in Växjö is the city’s travel centre. This city currently is home to about 60,000 inhabitants. In Växjö, nature is always close at hand. For example, you can go fishing in Lake Växjö, close to town. 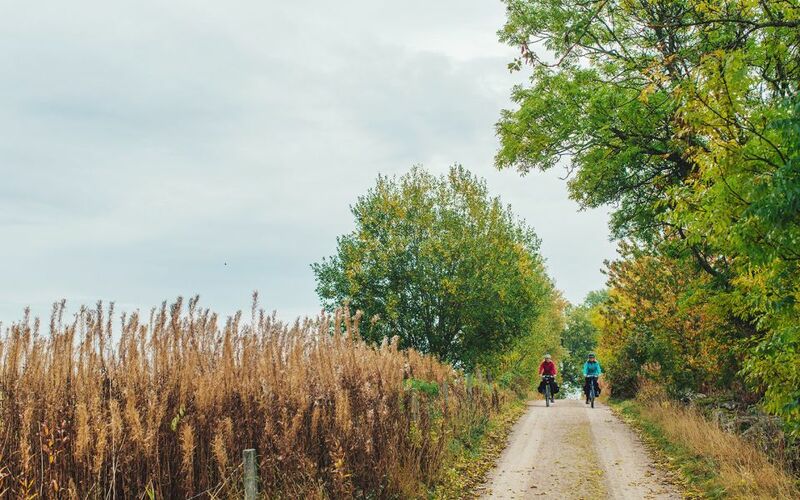 Along the trail, you’ll find a great many points of interest, such as Teleborg Castle, the Museum of Glass and the House of the Emigrants. When you’re standing at Ekotemplet (the Echo Temple), the water tower in Växjö, you’ve also reached the highest point on the Sydostleden Trail, 203 metre above sea level. Did you know that Broqvists konditori, the oldest café and pastry shop in Växjö, was the birthplace of the Napoleon cake, invented almost 150 years ago? 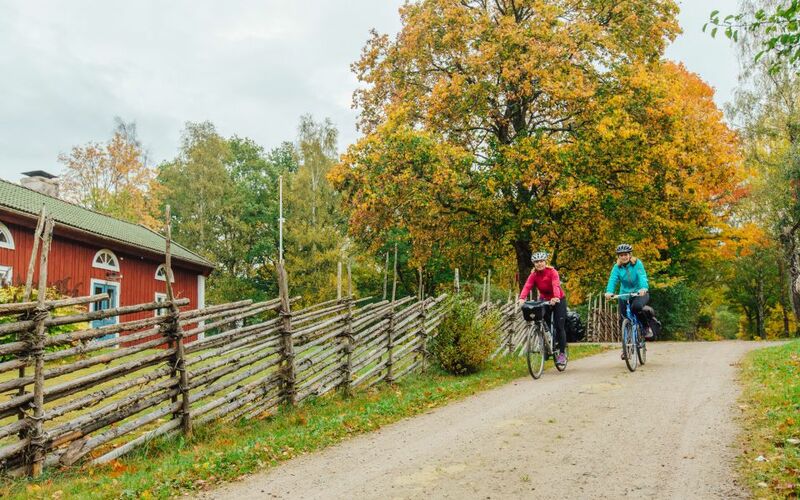 Bike on winding forest roads and experience the enchanting nature of Småland. Take a swim in one of the many lakes, and if you’re lucky you may be able to spot a moose or a deer. At Urshult, you’ll be at the southernmost tip of Åsnen, the largest lake in the county. The archipelago offers great fishing, canoeing and bird watching. 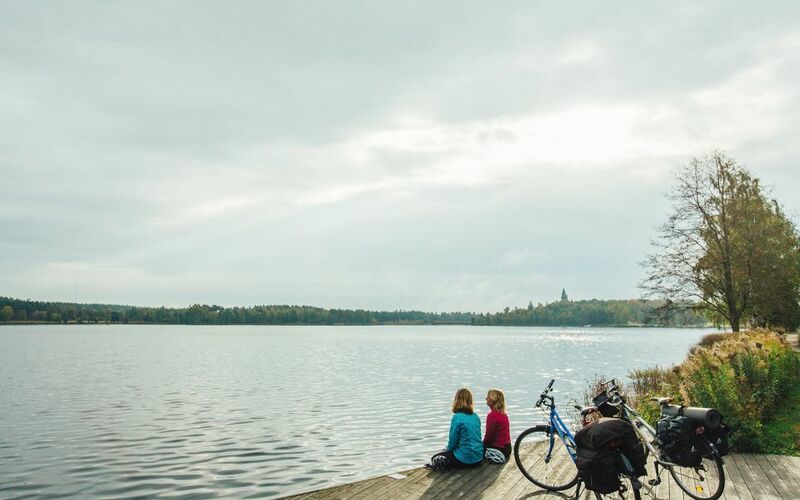 Just a stone’s throw from the trail, you’ll find Åsnen National Park, where the view of the numerous lakes will give you the feeling that you’re in the wilderness amongst uninhabited lake country. The legendary Trollberget (Troll Mountain) on the western side of Lake Åsnen offers forest hikes that are especially exciting for young children.